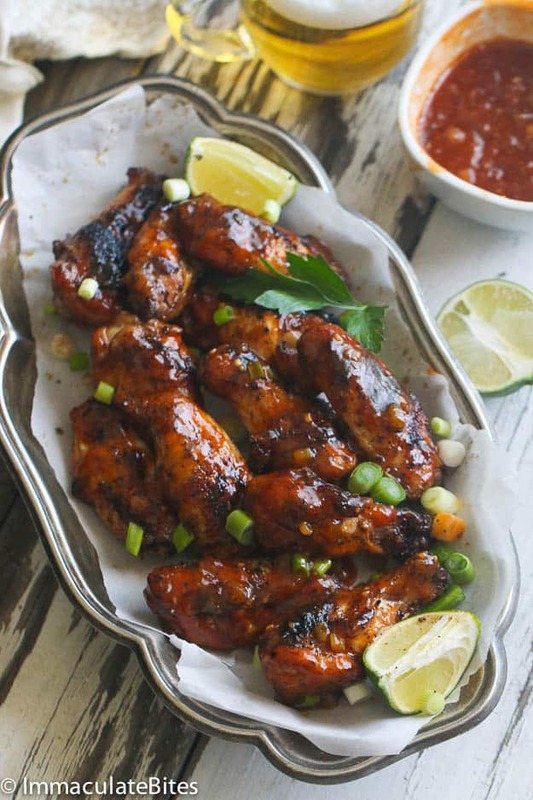 Caribbean Sweet & Sticky Hot Wings. 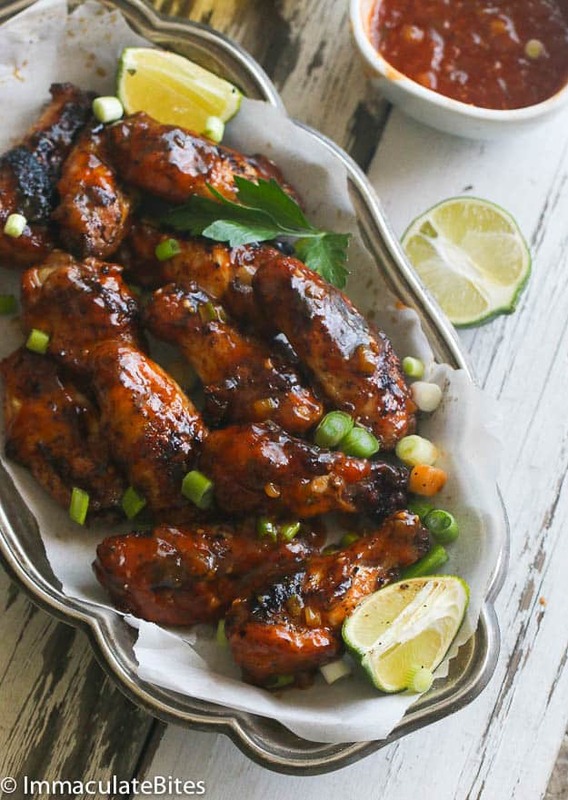 This delicious Caribbean Sticky wings is everything you want a sticky wing to be. 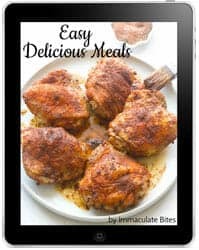 It’s full of Caribbean flavors, a little spicy, sweet and super easy to make- on a grill or in the oven. Just a great balance of sweet, salty and spice. You will LOVE it! 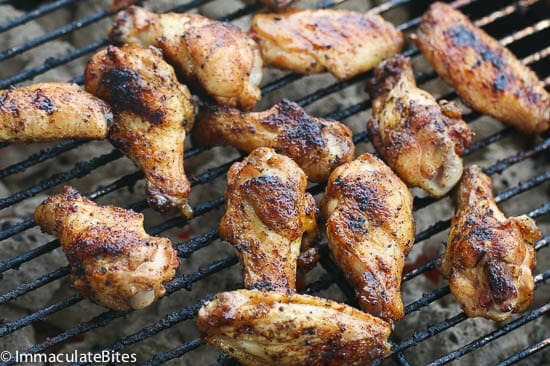 I love baking chicken wings but also love the flavor and convenience of cooking them on the grill too! No messy clean up at the end. And my favorite part the added layer of smokiness that it adds to the overall taste of the chicken. So I switch things up every once in while. And since it’s summer I fire up the grill at least once a week. This is truly a great way of enjoying chicken wings. And they are quite easy to grill too! If you’re familiar with grilling, then this is a breeze to make. (And if you don’t want to grill of course you can bake them). However, nothing beats a charcoal grill flavor in my books. I use my 18 inch charcoal grill when I fire up the grill for the family. Low to moderate even heat works best when grilling these wings. You can easily get control over the flames that way. An it helps render out the fat from the skin making it crispy. 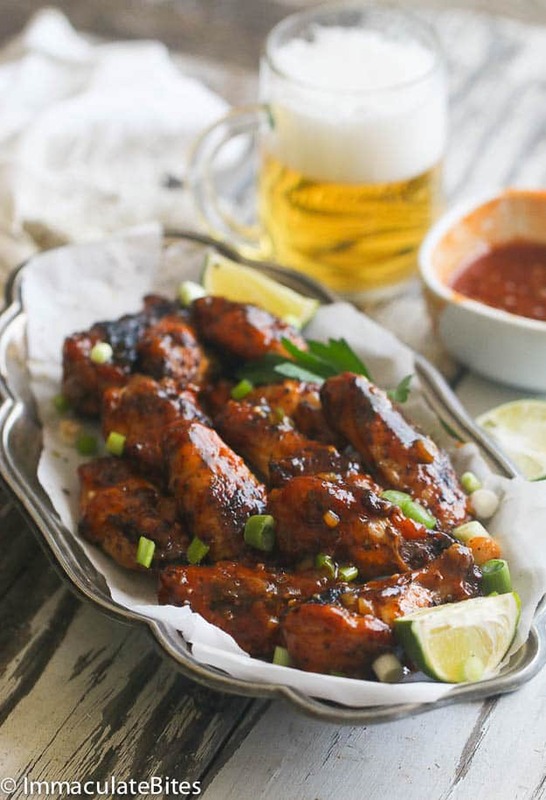 Get ready to fire up the grill for these chicken wings because they are simply…. amazing!! 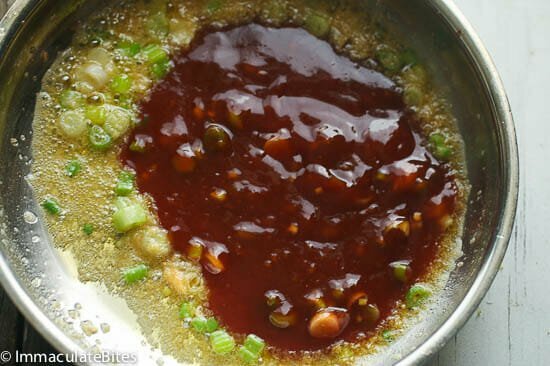 Moist, tender, crispy and SUPER flavorful to the bone with or without sauce the sauce. 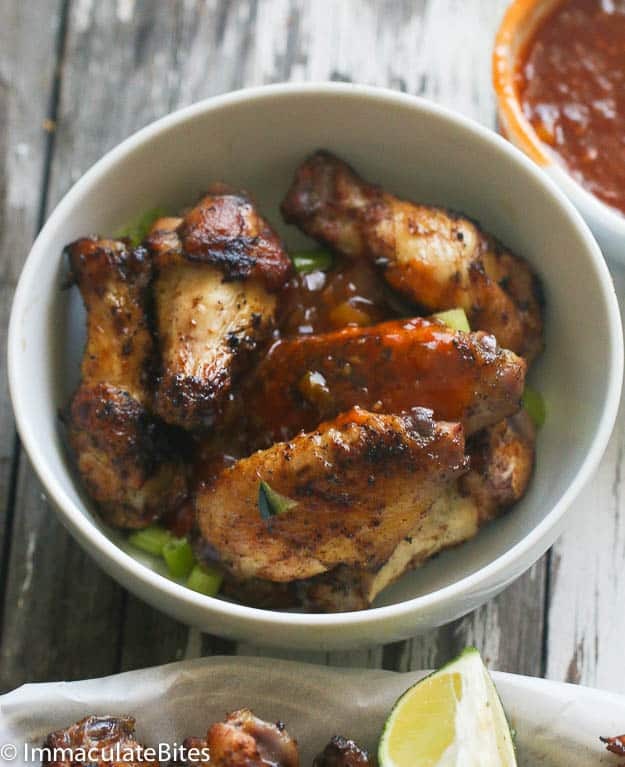 The hot & spicy sauce gets heat from Caribbean pepper sauce & sweetness from honey, and a slight lime-derived tang that provides a phenomenal finishing flavor touch to these already delicious wings. So you definitely do want to make it. Adjust the heat level to mild or heat seekers adjust to suit taste buds. Add butter to medium or small skillet and melt. Then add garlic, chopped sauté for about 1minute or more. Then add; ketchup, honey, brown sugar, lemon juice, hot sauce, Maggie Sauce a except for the cornstarch. Simmer for about a 2 minutes. In a separate thoroughly mix the cornstarch with some of the juice or water. 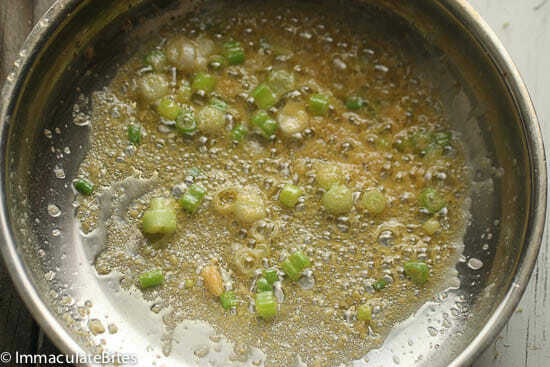 Stir in the cornstarch mixture into the saucepan. Bring to a boil. 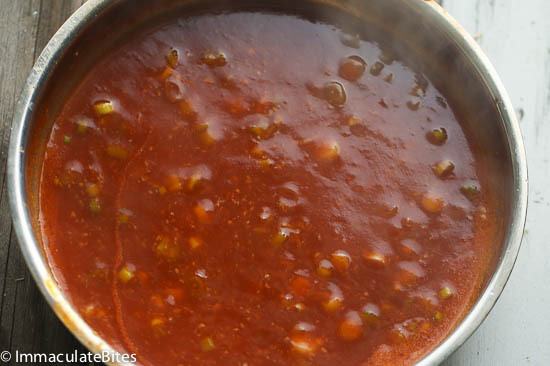 Low heat and simmer for about 10mins- you will have a thick and sticky sauce. Adjust seasonings to taste. 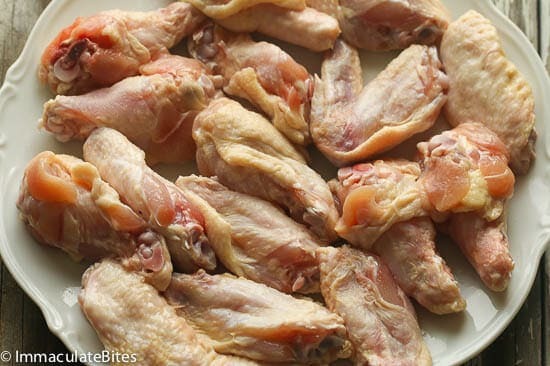 Wash Chicken Wings, if time permits let it dry out in the fridge for a couple of hours (about 3 or more). Do not cover. Place the chicken in a large plate or bowl, lightly salt, then mix with Jerk Spice and drizzle with oil (to prevent chicken from sticking to the grill). When you are ready to grill wipe down grill and lightly oil. Preheat for medium heat. Or if using charcoal fill it half full. Let it light up for about 25 or more minutes. Let them grill for about for approximately 20-30 minutes, flipping every 3-4 minutes until they are golden brown. Remove and mix with sauce or serve on the side. 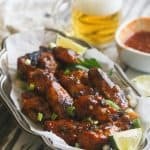 I’m a guy who never comments on recipes but these are hands down best wing recipe I’ve ever had. Made every week for a month and still just as delicious as the first. Great recipe Imma I’m a fan for life! Thank you for the kind words, Bill. I’m happy you love this as much as I do. 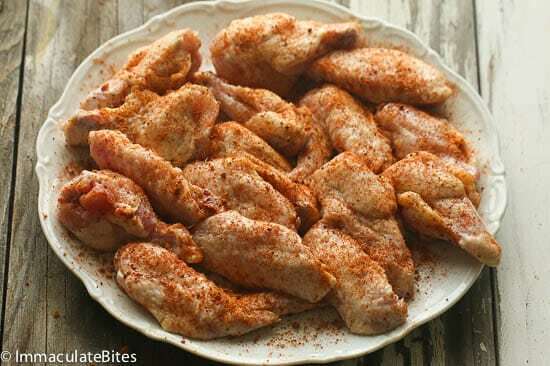 This is truly a wonderful chicken wings recipe. I make Jerk chicken wings 3-4 time a year. 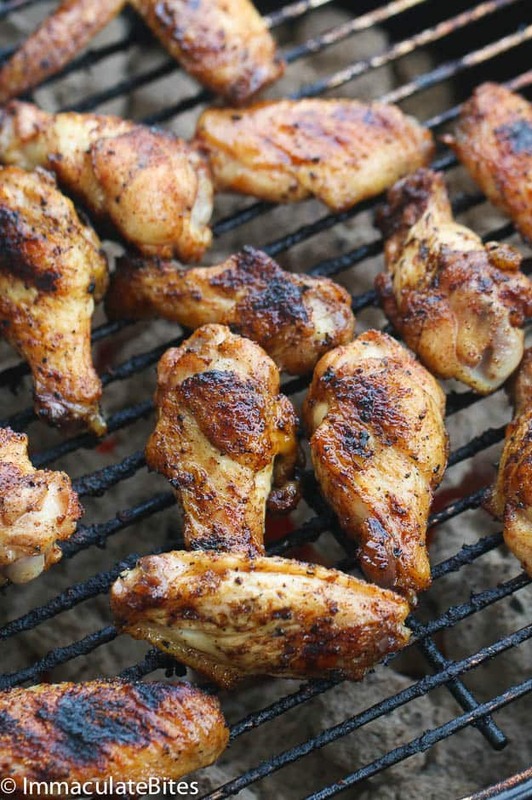 Basically, just chicken wings grilled with jerk seasoning. They are good, but nothing special. THIS is just what they needed to make them the very best chicken wings I have ever made. The sauce knocks it out of the park. It complements the jerk seasoning perfectly! Messy to eat, but worth it! I wasn’t sure what specifically you used for Jamaican hot sauce. The only thing I could find at the local store, with the word Jamaica on it was regular “Pickapeppa.” It tasted great, but next time I am going to add a little red pepper sauce to kick the heat up. Great outdoor grilling recipe for Memorial Day! Hi Imma, do you have a suggestion for a side to go with these wings? I’d love to make this and serve this week for dinner. l am drooling at the picture! Hi Valerie! Potato or plantain fries and some vegetables(carrots, celery) on the side if entertaining. If you are baking these, how long do you recommend? An hour maybe? at 350F? Bake at 425 degrees for about 40 minutes . About 20 minutes each side. Awesome! Do let me know how it turns out. hi do you have to use the caribbean hot sauce of yours or can if be any one ? Hi Georgia, it can be any hot sauce . Use your favorite brand if you have any. Happy Cooking. I just made these. The wings are some of the tastiest wings I’ve ever had. Awesome recipe! Will be making again very soon! Trey, thank you so much! That is so nice to hear. You’ve have just brighten my day. Love that these are cooked on the grill and that sauce is divine – yes to tangy limes! Yes a perfect accompaniment for that beer. I love wings like this. So moorish. Love the grilled version of these!!! Yum! I am excited about this recipe! I used to live by a Jamaican restaurant growing up and they had a similar dish there. It was my favorite and I haven’t been there in years! I am excited to try this out! I love all the spices in this recipe. These wings look delicious, but I was wondering if you think this will work well with drumsticks. I love this jerk-flavoured seasoning! Though I don’t eat chicken, I can see this going really well on tofu. Yum! It do just just fine.